It has been 194 days since the ELFIKE collective movie known as The Wedding Party first premiered at the Toronto Film Festival in Canada. Since then, it has gone on to become the highest-grossing movie in Nollywood history raking in a whooping thirty-six million naira in it's opening weekend in Nigeria. As of February 3rd, 2017, Wikipedia estimates their box office revenue at N405,000,000 making it the highest grossing movie in Nollywood history. This is a truly laudable achievement because, for the first time, a Nigerian film beat all Hollywood contenders at the Nigerian box office, including ‘Batman vs. Superman’ (N140m), ‘Captain America’ (N119m) and ‘Suicide Squad’ (N116m). 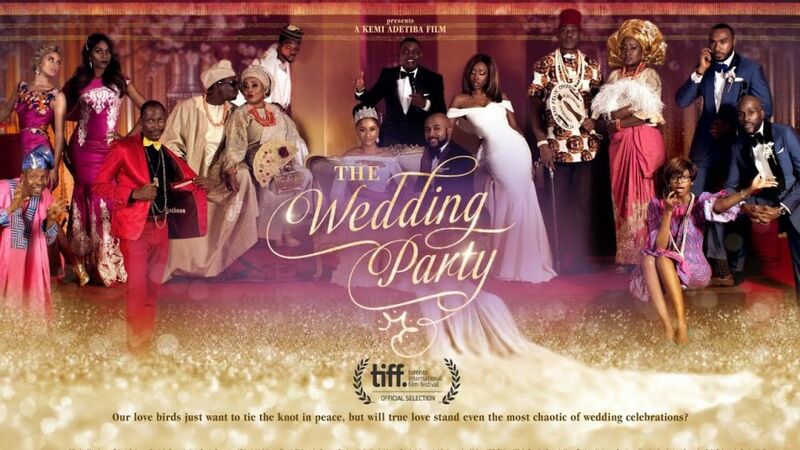 In an amazing year for Nigerian movies, ‘A Trip to Jamaica’ (N178.5m) and ‘76’ (N72 million) joined ‘The Wedding Party’ in the Top 10 chart at no.2 and no.10 respectively (Guardian Newspaper). Concept Generation: It is true when they say you can't really put a price tag on creativity and quality. The project was executed by a collaboration of some of the industry's finest. These companies brought their wealth of experience to the table. The ELFIKE film collective: a formidable creative team that comprises Abudu’s EbonyLife films, Kene Mkparu’s Filmone, Inkblot productions and Koga Studios. Promotional Marketing: The collaboration with Dubai’s Department of Tourism and Commerce Marketing (Dubai Tourism) was a massive hit. The reward for coming to watch the premiere included amazing prizes such as luxury accommodation courtesy Arabian Falcon; theme park passes courtesy IMG Worlds of Adventure, and helicopter rides courtesy Alpha Tours Helicopter Rides. The Dubai Tourism gave away other VVIP gifts to lucky premiere guests. The tickets sold out as you would expect. Sponsorship Marketing: They partnered with Johnny walker, Airtel, Access Bank, Coscharis motors etc. Spread the Word Build the Buzz: This was the magic. The first banner promoting the Wedding party came out almost a year before the movie was released. They strategically used banners, BTS pictures, trailers etc. to tease the audience in the months building up to the release. The Wedding Party trailer had well over a hundred thousand views on Youtube and an uncountable number of engagements on other social media platforms such as Twitter, Facebook, Instagram and even Behance. On twitter, the official movie hashtag "#theweddingpartymovie", was trending before and after the movie was released. Another key element for the buzz surrounding the movie was the collection of A-list celebrities from different sectors of the industry. You had Banky W, Adesua Etomi, Sola Sobowale, Richard Mofe Damijo, Frank Donga, AY comedian, Emma OhmyGod and so much more all playing different roles in the movie. 1) Give proper thought to your concept, idea, product or service. 2) Plan your marketing strategy. A good marketing plan generates a demand for your product/service and delivers your product/service as rain on a hot day in the desert. 3) Invest in your product. Nothing of value comes free. You must be willing to invest tangible resources into your product. 4) Work on the people factor, Audience interaction is a major key. 80% of people rely on the opinions on social media to judge a product or service as opposed to actually trying it out for themselves. What this simply means is that if the conversation about your product/service on social media is weak or bad, your product is already in a dangerous place. 5) Time your release. When it comes to product release, timing is everything. If there is one thing we learn from The Wedding Party, it's that timing could very well be the difference maker between normal success and record breaking success. We can all agree that the decision to sit on the movie till December 16th (festive period) was a stroke of pure genius by the people in charge. Once you have a great product, don't be in a hurry to throw it out there. Study the times. Would the world be ready for your idea/product/service at the time you release it? Every marketer has to answer this question if they want to enjoy relatively stress-free success.